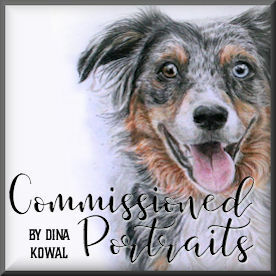 Dina Kowal Creative: SNSS sketch challenge! 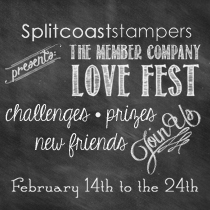 Splitcoaststampers.com is celebrating their member companies this week with a new event called Love Fest! Each of the 10 companies has a special day to be featured, and there are challenges, information, and prizes in their individual forums. Hope you'll come check it out! We love our member companies! Sweet 'n Sassy Stamps is one of the companies being featured! 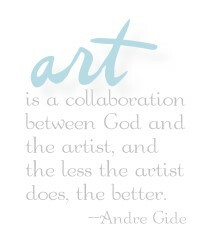 You can visit the event forum for all the details of their sketch challenge. Here's my card for the challenge, which also fits this week's Mix-Ability challenge! I used stamps from my dkdesigns line - the silhouette image is from Together Silhouettes, and the text stamps are from a very versatile Christmas set called Christmas Tags. I used another Christmas background stamp (Light of Christmas) on the painted panel. The painted panel is the part of the card that fits the Mix-Ability challenge today - Janelle wants us to use text or script and 3 shades of pink, red, and/or magenta. I used a piece of the panel I painted and stamped to piece the umbrella on my stamped image, too. Busy day! Hope you'll join us!